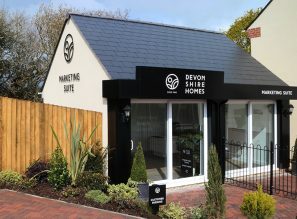 The Mayor of Barnstaple joined local independent house builder Devonshire Homes to celebrate the official opening of a stylish new homes development at Mazzard View, Landkey. Cllr Julie Hunt cut the ceremonial ribbon at Devonshire Homes’ Mazzard View development, off Birch Road in Landkey. The special reception, at which guests were able to look around the stunning new show home, was attended by members of the Landkey community and construction industry professionals. Construction is well underway at Mazzard View and Devonshire Homes has already experienced a significant level of interest from house hunters looking to move to Landkey. Ultimately, Mazzard View will be a collection of 77 freehold homes with two, three, four and five bedroom homes available. The government’s Help to Buy scheme is available on a range of properties, helping potential home owners move onto or up the property ladder with just a 5% deposit. 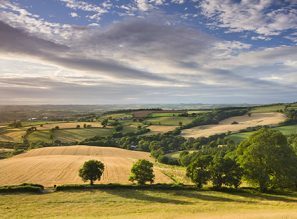 Surrounded by beautiful North Devon countryside, Landkey is less than three miles from the centre of Barnstaple and has an excellent primary school, a locally-run store and a Post Office.